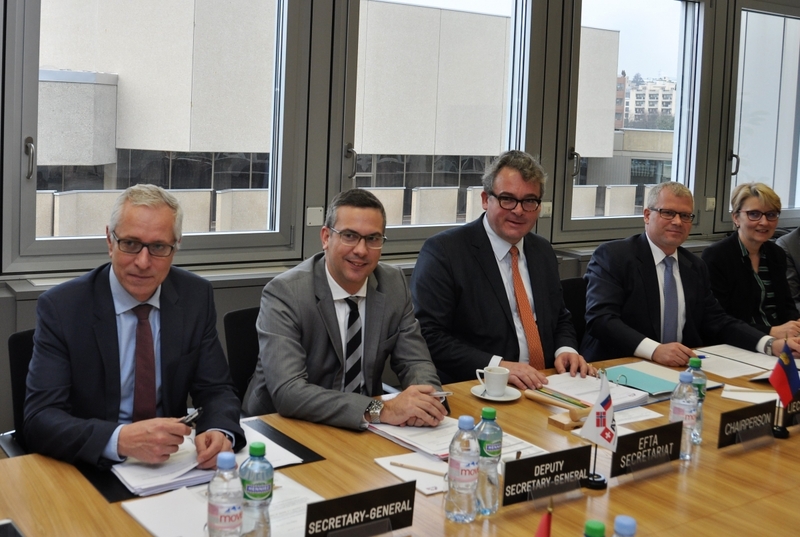 The EFTA Council met in Geneva under Liechtenstein Chairmanship. Holding the rotating EFTA Council Chair for the first six months of the year, Liechtenstein has set the Council priorities whereby they intend to focus on the continuation of ongoing processes towards the conclusions of current free trade negotiations, managing current processes and opening new ones. The full list of priorities can be found here. At the meeting, the Council approved a number of technical statistical cooperation activities in the field of statistics. Furthermore, delegates discussed work with regard to ongoing and possible upcoming free trade negotiations, in particular regarding Mercosur, Chile an GCC. The EFTA Council is the highest governing body of EFTA. The Council usually meets eight times a year at ambassadorial level (Heads of Permanent Delegations to EFTA) and twice a year at ministerial level. In the Council meetings, the delegations consult with one another, negotiate and decide upon policy issues regarding EFTA. Each Member State is represented and decisions are reached through consensus.